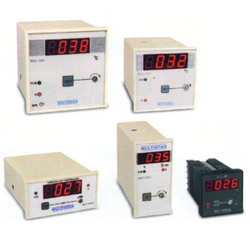 Our range of products include timer, temperature controller, process instruments, digital temperature controller (push to set), temperature controllers indicator and digital temperature indicator (fix range). Indicating accuracy ±1% of fsd set point 1 set point relay action heat mode or cool mode (factory set) cool mode power supply 230v ac ± 20%, 50 hz 90-270v ac/dc, smps indication display for sensor break and led for relay status indication protection relay turns off in case of sensor break installation the rtd sensor should be connected to the instrument by proper cables to minimize errors due to cable resistance. For thermocouple sensor, compensating cable of proper type must be used. We have in store for our esteemed clients high quality Temperature Controller which controls the level of temperature accurately. This product is fabricated using superior quality raw material to ensure optimum quality performance. Display RED, 4-Digit, 0.56" RED,4-Digit,0.4"
The RTD sensor should be connected to the instrument by proper cables to minimize errors due to cable resistance. For thermocouple sensor, compensating cable of proper type must be used. We offer high quality Process Instruments to our prestigious clients. 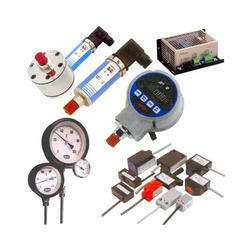 These instruments find the application in various industries. Reckoned for the sturdy designs, high durability, longer service life, resistivity to corrosion and for optimum quality performance. These optimum quality instruments can be purchased from our organization at the most reasonable prices. Due to our sincere business standards and transparent deals, we are actively engrossed in offering Digital Temperature Controller (Push To Set) which is easy to operate and maintain. Our offered temperature controllers are manufactured using the optimum quality material and leading technology in fulfillment with the industrial norms. 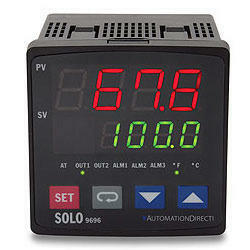 Our temperature controllers automatically control the temperature as per the requirement. In addition, these temperature controllers are checked on numerous quality measures in order to supply a defect free range. Our exclusive range of industrial process control and automation instruments comprises Temperature Controllers and Indicators. 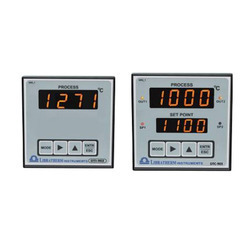 These indicators and controllers are used to display and control temperature at different points in an industrial process. Reckoned for robust designs, resistance to rust and longer service life. Avail these from us at economical prices. Backed by rich industry experience, we are able to offer high quality Digital Temperature Indicator (fix range) to our valued clients. This product has sturdy design, resistivity to corrosion and longer service life. Maintenance is as equivalent to nil. Our clients can purchase this product from us at the most reasonable prices. With our rich industry experience and in-depth market knowledge, we are dedicated to manufacture, trade, and supply superior quality Programmable Temperature Controller (Double Display). These temperature controllers are renowned for its low consumption and easy installation capability. 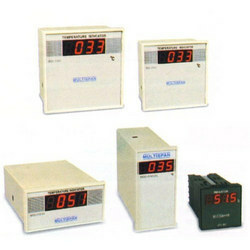 We offer these temperature controllers on varied specifications as per the requirements of clients. The offered temperature controllers are quality tested by our quality controllers so as to supply a fault free range to customers. 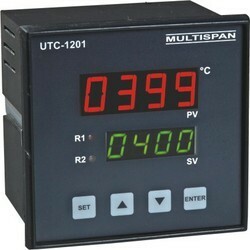 Owing to our in-depth domain expertise, we are offering a quality range of Temperature Controllers. 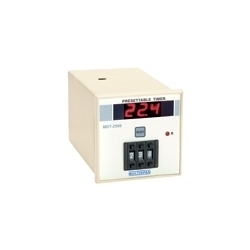 These temperature controllers are designed with finest quality material & leading techniques by our skilled workforce. 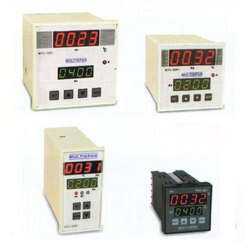 We offer these temperature controllers on varied specifications as per the requirements of clients. The offered temperature controllers are quality tested by our quality controllers so as to supply a fault free range to customers. 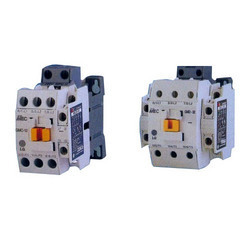 We have in store for our clients high quality 3 & 4 Pole Contactors fitted with ac or dc coil voltage. This product is reckoned for its sturdy design, optimum performance and high durability. Apart from all this, it is an easy operating and low maintenance device. Our clients can purchase this product from our organization at economical prices.